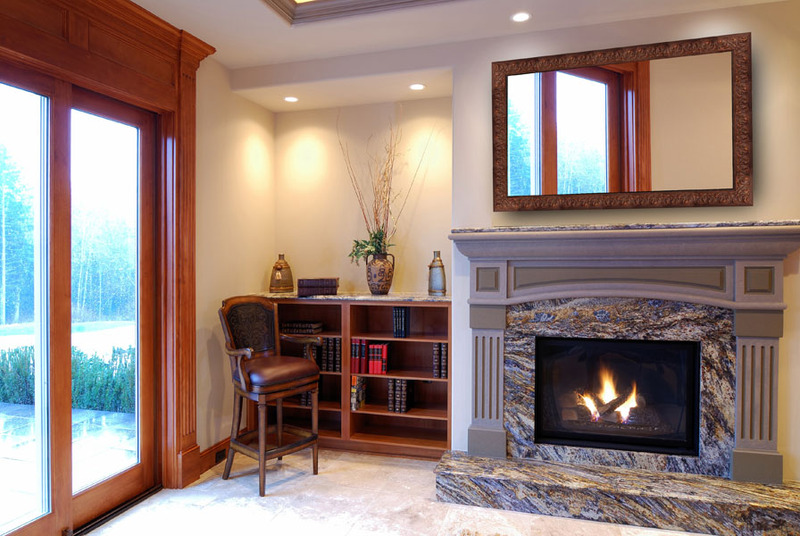 For mirror tv projects where you already have a designer, carpenter, or just love DIY, getting a custom size mirror is a great option. 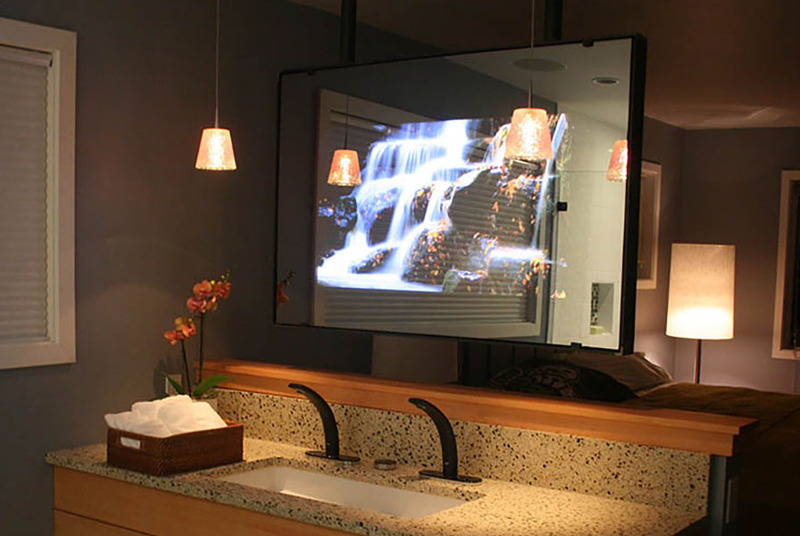 The VanityVision Mirror offers a reflection closely matching a standard mirror for bathroom use, and is good for projects where the mirror is larger than the TV. The Dielectric Mirror offers a highly transparent mirror with flawless picture quality, and is best for projects where the television is framed to the viewable area of the screen. Hiding a TV in your bedroom or living room? That’s our more transparent Dielectric Mirror. Ordering for your bathroom? That’s our highly reflective VanityVision Mirror.